I have a very big sweet tooth. I feel deprived if I can’t have something sweet at least twice a day. While I prefer a ‘carb’ sweet, I’m open to anything, as long as it’s sweet! But when I’m trying to lose weight or even maintain my weight (that’s what summer is all about! ), I sometimes find it hard to stick to it. What makes it even harder, is we are on the go a lot in the summer. I need to keep my kids busy but I have to remember to put myself first and make sure I’m getting the foods I need to full my body to keep up with them. They are 10 and 8 and if I only had half of their energy… one could dream I suppose. If I get off track just once, then that’s it. I have a hard time getting back on. So I try to find things that I will enjoy, will curb my sweet cravings, I can take on the go and the most important part – something that is filling! 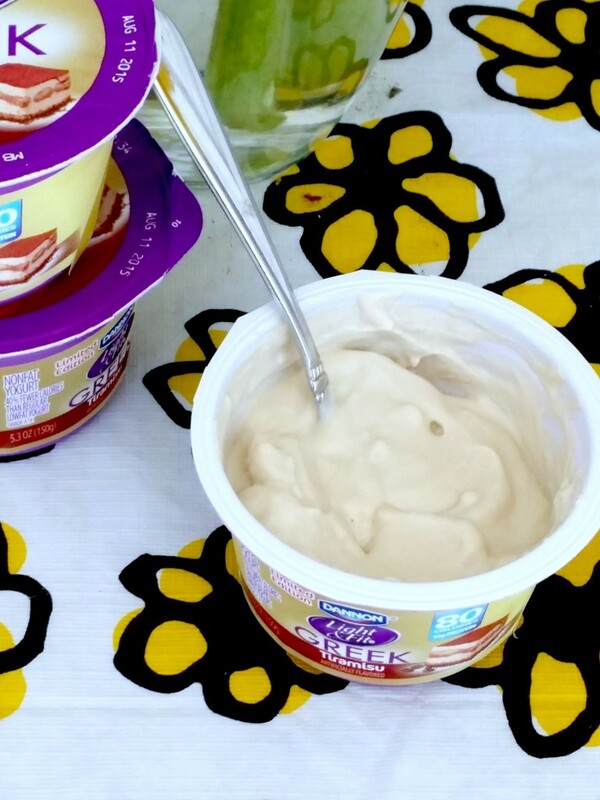 So when I saw the new Dannon® Light & Fit® Tiramisu Flavored Greek nonfat yogurt, I knew I had to give it a try. I had a feeling it would satisfy my sweet treat enough and I wouldn’t feel like I was missing out on something. 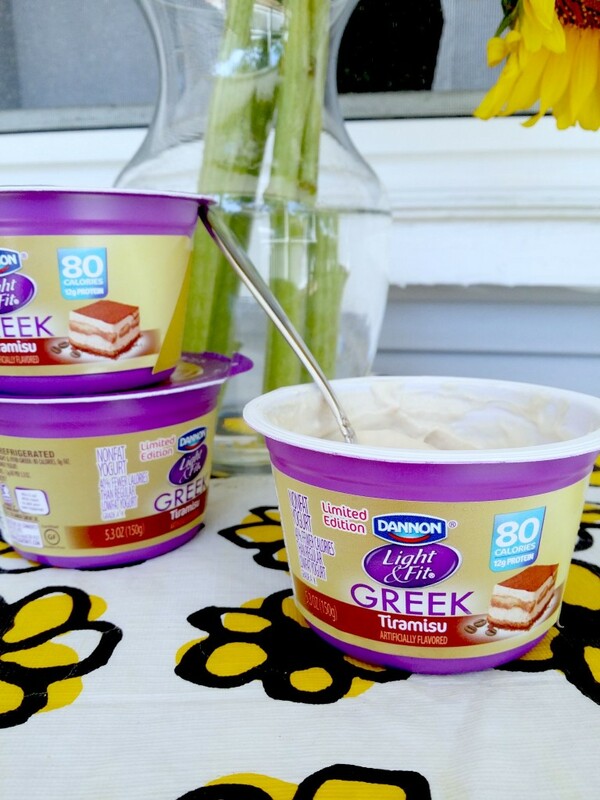 With 12 grams of protein, 80 calories and 0% fat per 5.3 oz, Dannon® Light & Fit® Tiramisu Flavored Greek nonfat yogurt satisfied my taste buds and since I stocked my fridge with it, I am not tempted to eat something that is much higher in calories, and full of fat! 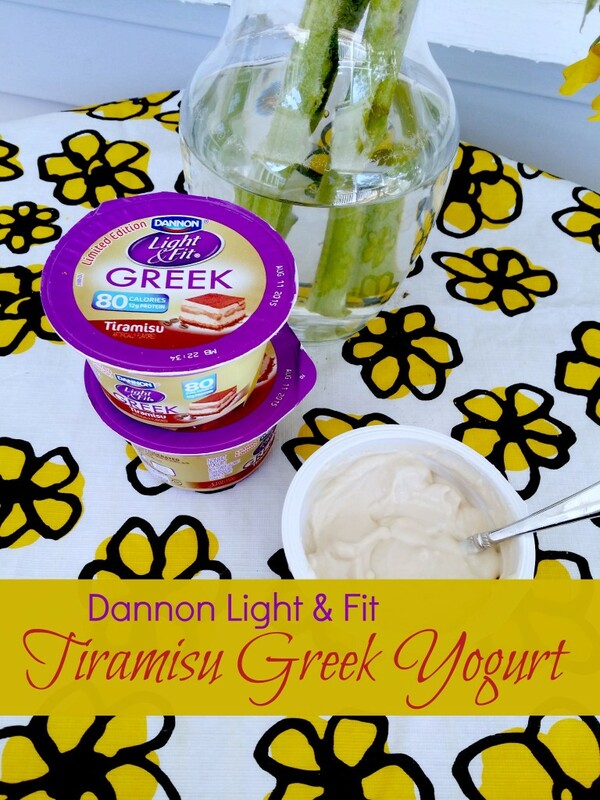 If you are looking for something with a lot of flavor and no guilt to keep you on track for healthy eating this summer try Dannon® Light & Fit® Tiramisu and let me know what you think!